Effectively process electronic billing (E-Bill) with electronic bill presentment and payment. Information Outsource can create and host secure customer and administration Electronic Bill Presentment & Payment websites with your unique branding. Each time your E-Bill job runs, we will publish your full data set to your branded site. Enrolled customers will be emailed with a notification that their document is available for viewing, or a PDF version of their current document may be emailed as an attachment directly to them. Whether you simply want to offer an archive history of documents on the Internet or you want your customer to receive, view and pay their bills online, our Electronic Bill Presentment & Payment system can handle your small business needs. Here at Information Outsource, we know that there’s no question of the positive impact that electronic billing can bring to your small business. Not only is it better for the environment, it can save you time and money. We live in a world that is increasingly reliant on digital services and electronic billing has become a must in business. Entrusting your billing to the experts at Information Outsource can all but eliminate postage costs, not to mention provide fast, effective service to your customers. Making the switch from paper to electronic billing is a monumental task, which is why our team is dedicated to helping you every step of the way. When you choose Information Outsource, we will assign you an expert customer service representative who will be able to assist you through every step in your electronic billing transition. 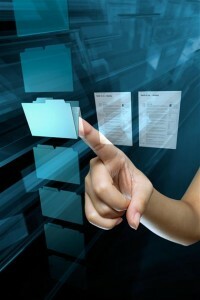 In addition, we will create a custom program for your data that will run according to your business and its needs. Our technology allows for the highest level of data security, as well as processing services that provide service according to your business’s exact needs. Whether you simply want to offer an archive of documents for your customers, or you want your customers to receive, view, and pay their bills online, our electronic billing self-service and payment system is tailored to your company’s specifications. Additionally, our process includes a number of quality control checks and approvals to ensure that all of your information is correct. However, when a mistake happens, you can be sure that the experts here at Information Outsource will be on top of it. We’re flexible, light on our feet, and ready to address any problem with immediacy and expertise. It’s normal to have concerns and questions about making the transition from paper to electronic billing. If you’re considering making the switch, call us today and see how we can help you streamline your billing process and visit our site to find out what kind of services we can offer you. If you still have any queries regarding electronic invoice processing or billing services for large or small business, contact us now! Thanks for all of your wonderful support. You have always been quick to take care of any concerns that I had. I have greatly appreciated your expertise, great customer service and reliability (and patience!). Your team is great! I will recommend your company to anyone that needs this type of service.